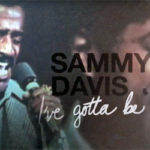 This page lists studio recording sessions Sammy Davis, Jr. recorded between 1970 and 1988, initially for Motown, then for MGM and subsequently other labels. Visit Yes, I Can: Sammy’s Recording Career for background information to these sessions, and more information about Sammy on vinyl. These performances are studio recordings bought by MGM from Motown in August 1971. The master numbers listed are those given to the recordings by MGM. Ernie Freeman (arr) on b. Despite the fact that Sammy signed with Motown in April of 1970, this session is dated to late 1970 or early 1971 by the content - "In My Own Lifetime" was from the Broadway musical "The Rothschilds" which opened in October 1970, and "I'll Begin Again" was from the movie musical "Scrooge" which opened in November 1970. The single from this session (the only release on Sammy's Motown label Ecology) was released in March 1971. Once these recordings were bought by MGM, they were given the new master numbers 71L 3925 and 72L 3203 respectively. Perry Botkin, Jr. (arr) on a; Ernie Freeman (arr) on b. The Mike Curb Congregation (bkv) on a-b. "The Candy Man" was on the Billboard Charts for 21 weeks, peaking at #1 (where it remained for three weeks). This was Davis' only US #1 hit. The release, MGM 14320, went Gold, selling over a million copies. This recording was placed on a 45, MGM K14370, but the single was never released. Perry Botkin, Jr. (arr) on a, (con) on a. The Mike Curb Congregation (bkv) on c.
The Mike Curb Congregation (bkv) on c-d. 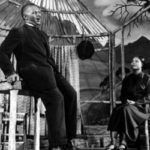 These recordings do not appear in any listings of MGM masters. MGM dipped into its Verve reservoir and took some alternate takes from Sammy's early Semptember 1964 session with Count Basie and His Orchestra, and re-recorded new vocals (complete with 70s-era affectations) over the top of most tracks. The resulting MGM album was listed as a "repackage" of the Verve album, although only 3 tracks survived unchanged from 1964. Mike Curb (pdr) on a; Johnny Harris (pdr) on b. Session also included Matrix 73L 5309, which was a 6-part Leslie Bricusse medley (the specific songs included is unknown). Don Costa (arr) on a; Lon Norman (arr) on b; The Mike Curb Congregation (bkv) on a-b. These songs recorded for a Japanese commercial for "Suntory" Whisky, and were released only on an MGM promotional EP. "Chi-ki Chi-ki Sammy" is barely a song, and is simply the audio track of a commercial which features Sammy bopping along as he pours himself a drink! b, c, d, e, f, g performed as medley. Don Costa (arr) on a; Lon Norman (arr) on a; The Mike Curb Congregation (bkv) on b. Don Costa (arr) on a; The Mike Curb Congregation (bkv) on b.
Al Capps (arr) on a-b, d-e; Dave Grusin (arr) on c, (con) on c; The Mike Curb Congregation (bkv) on a-c.
"I Can Do That" is a studio recording inserted (with applause) into Warner Bros' release of live performances at the Sydney Opera House in August, 1977 (see the Live Recordings page on this discography). The back-up vocals from this studio recording of "Showtime" were also included on that album over the top of Sammy's live performance of the song. Al Capps (arr) on c, f-g; Michael Lloyd (pdr) on a; The Mike Curb Congregation (bkv) on d-e.
"I Heard A Song" is a tribute to great figures of then-recent American history, recorded for a special double LP featuring multiple artists which was released to celebrate the United States' bicentennary in 1976. Two versions of the Alka Seltzer advertising jingle "Plop Plop, Fizz Fizz" were recorded, one a 'Rock Version' and the other a 'Big Band Version'. Each contained a verse of the song that the other version did not have. This performance of "Life Is A Woman" sees Sammy doing impressions. Its only release so far has been on on a Curb Records 'live' album, and so has had audience applause added. Marian Mercer (v) on a. Sources indicate that the cast album for "Stop The World - I Want To Get Off" was recorded during the show's tour on the road in May. From May to July, the show toured San Diego, Los Angeles, Chicago and Toronto, before opening on Broadway on 3rd August, 1978. A (somewhat) hideous collection of Country and Western songs. These 10 titles have been released in countless bargain-basement CDs and cheap (and misleading) 'Rat Pack' collections. Motown 1738 features an instumental version of "Hello, Detroit" on flip side of Sammy Davis, Jr.'s vocal "Hello, Detroit". This was Davis' last hit record, being a chart-topper in Belgium in 1984. Sammy Davis, Jr.'s final studio recording.